Instead of a usual dinner date in a restaurant with romantic ambiance and music for our 18th wedding anniversary, I coerced my hubby to climb Taal Volcano and see the famous Crater Lake. He was hesitant at first but later I smiled in delight when he nodded his approval. Meaning it was yes! And because our kids were grown up and physically fit, we enjoined them to embark on this exciting adventure. 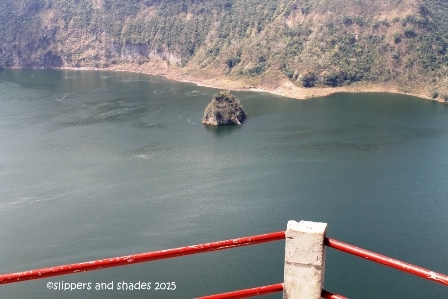 As of 2016, boat rental to Taal Crater Lake is now P2,000.00. Mayon Skyline (former Mayon Rest House) was our last stop today coming from an overnight stay in Gubat, Sorsogon down to Cagsawa Ruins in Daraga, Albay. I was overwhelmed to see my family especially Noel and Pol, both “first-timers” enjoying every minute of our vacation in our hometown in Albay and in our neighboring region. From Daraga, it took us almost one hour reaching the turn off point in Crossing Buang in Tabaco City. Then another twenty minutes going up the Skyline passing scenic view of lush vegetation. This is my fourth visit here and I could say, this is the most exciting moment. Why? I felt so elated seeing unobstructed view of Mayon Volcano in full glory. As soon as we hopped out from our van, I hastily took my cam. And I was so lucky that I had a good photo, captured in clarity! It was cool, oh I miss this cool atmosphere here which is somewhat similar to Tagaytay. We went down the terraced park where the view deck was located. 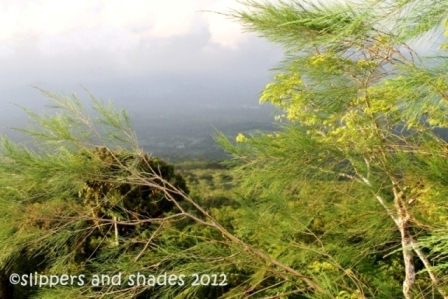 We stayed in one gazebo and enjoyed watching a breath taking view of all things verdant and lush. To the right were the Pacific Ocean, the surrounding towns and San Miguel Island. To our left were the towering and unobstructed Mt. Malinao and Mt. Masaraga. There was a children’s playground in the middle of the park. We discovered there was another concrete stairs in going up to the parking area. We sat on steps for a wacky shot. 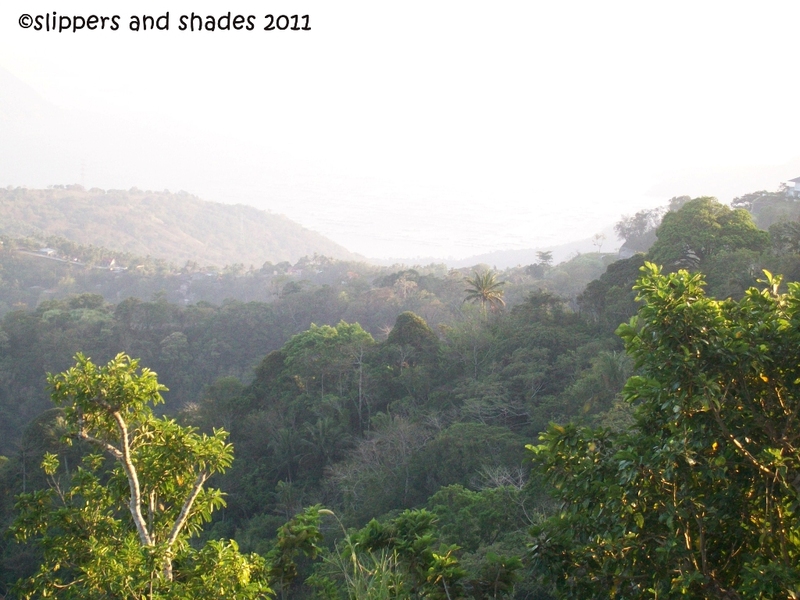 As we went up, I was amazed to see a stunning view of the park… in the silhouette of summer. We ate snack in the cafeteria (biscuits and soft drinks). There was a souvenir shop inside and I was so happy when I saw a small Mayon Volcano display item made of volcanic sand in a cheaper price of P100 only compared to P250 in Cagsawa Ruins. When I lifted it up, this one was lighter, hence the price. 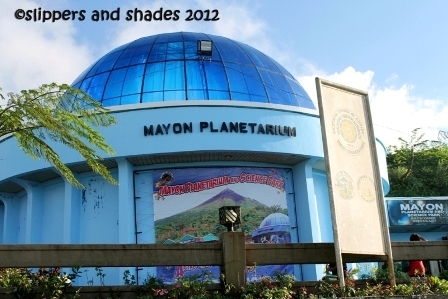 After a short break, we headed to Mayon Planetarium. We passed by an old, abandoned building, Mayon Skyline Hotel. From afar, the blue-domed shaped planetarium was so enticing to look at. We were excited to see what’s inside it. It was already 5 pm but still, it was opened for the visitors. 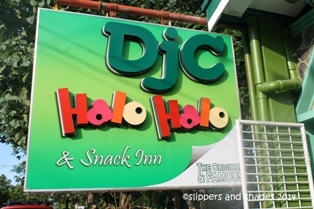 There was no cashier to pay for the entrance fee (P10/head) so we assumed it was already free by that time. There were lots of visitors scattered in front of photo souvenirs of volcanoes, stars, nebula and even satellites. We were one of them, busy reading articles about the volcanoes. Later we went inside a video room where we watched the legend of Mayon Volcano and some interesting facts about the province of Albay. When the show ended, we went back to the parking area and was refreshed even more by the cool breeze. 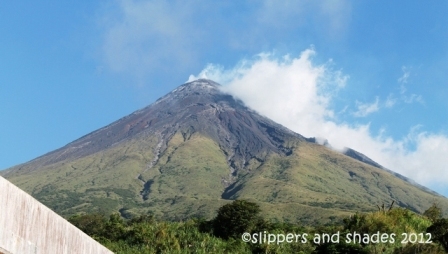 As of that moment, thin clouds were now covering the peak of Mayon Volcano. It was getting dark and we were already chilling. We went to Tabaco City and had an eat-all-you-can dinner in LCC Foudcourt for an affordable price of P129 only. Bottomless ice tea was P29 only. 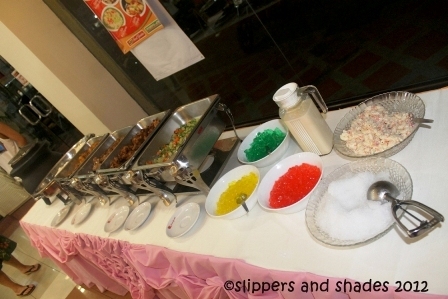 There were four viands and two desserts in the long table. It was cheap but nice dinner. We had an inexpensive family getaway in the Skyline and everyone had fun. Tomorrow is a continuation of our Albay tour. Good night my beloved hometown! We enjoined my brother-in-law Noel to go with us in Tagaytay for a Saturday escape from the stiffing atmosphere in Manila. He’s been working abroad for so many years and before he leaves for another wonderful opportunity in California, we wanted him to see and explore some of our country’s exciting places to visit. We chose Picnic Grove, the most visited park in Tagaytay City. We’ve been to this park for so many times, but it’s nice to go back again and again because in every visit, there is an exciting activity to indulge with. We had an exciting ride in zipline the last time we went here.The other new activity is the Cable Car which is ideal for a family ride. Entrance fee was P50/head.Rion was free of charge since she is one year old. Noel is from Baguio.The cool climate in Tagaytay was an ordinary thing to him. 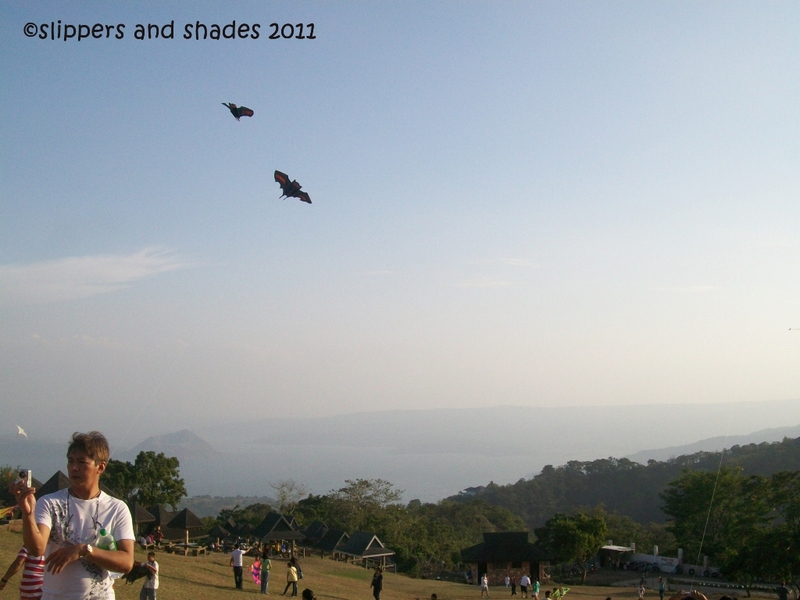 What awed him much was the breathtaking view of Taal Volcano and the lake. He got so busy capturing photos of every scenic spot that amazed him much. 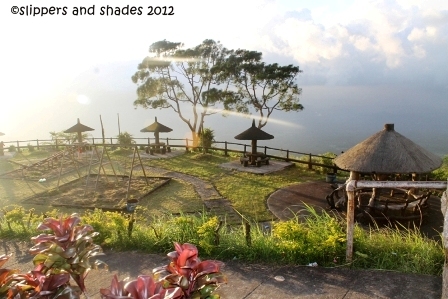 Horseback riding is the oldest common activity in Tagaytay with rate of P150 to P200 depending on the sizes of horse. Since we already tried this activity in Baguio, no one from us wanted to do it again. 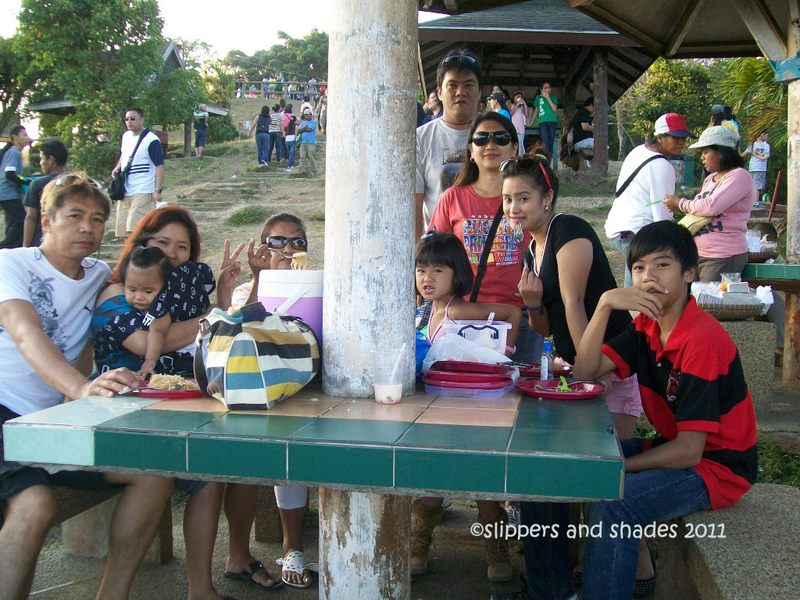 So we headed down and occupied a picnic shed (P150) near the zipline station. We toured the eco-trail and just like our last visit, we enjoyed walking again to the concrete walkway with metal hand rails. We savored the moment looking at the panoramic view of Taal Volcano. It took us twenty minutes before we went back to our area. 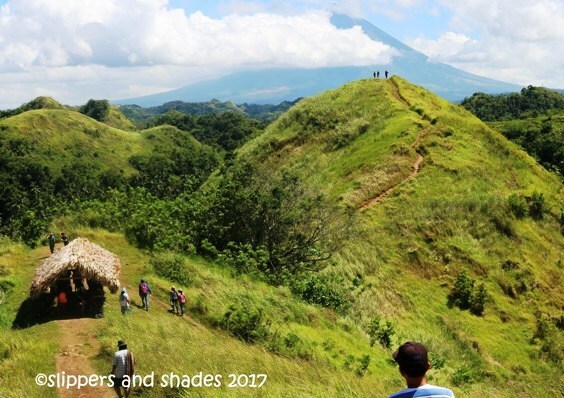 We let Noel roamed around at the lower part of the park where lots of people flocked to capture a better view of Taal Volcano. While sitting, we enjoyed watching those kites hovering in the blue sky. Later, what was left were those two big bat kites soaring freely and so mighty. 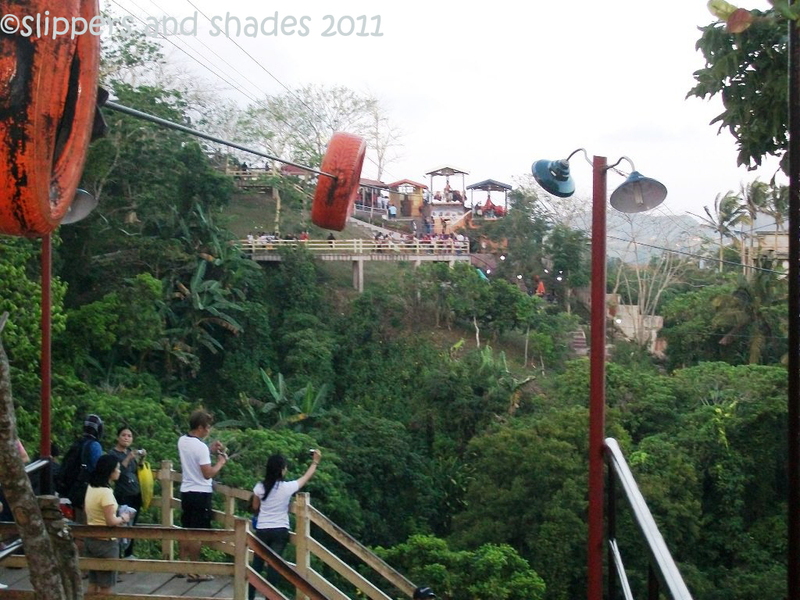 Since it was summer and week-end, rate of zipline with photo and a mug with photo too was P500. Whew! What a price. It was only Pao and Miko who dared the ride again. We waited for their thrilling fly and cheered them up as soon as they were released into the air. Noel was scared to try it and so with my sister Gi. I guess it has something to do with age.hehehe. Everyone was starving when the two teens went back from their activity. We all sat together and eat our yummy meryenda. Bringing back the traditional picnic activity was really delightful. I was thankful that there’s a park like this which keep family bonding so alive. 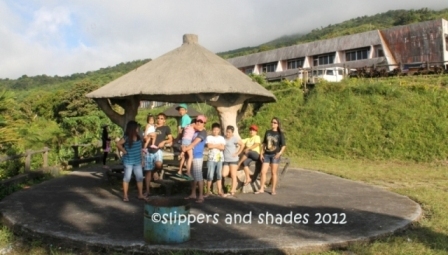 An afternoon stay in Picnic Grove is indeed a relaxing family getaway. 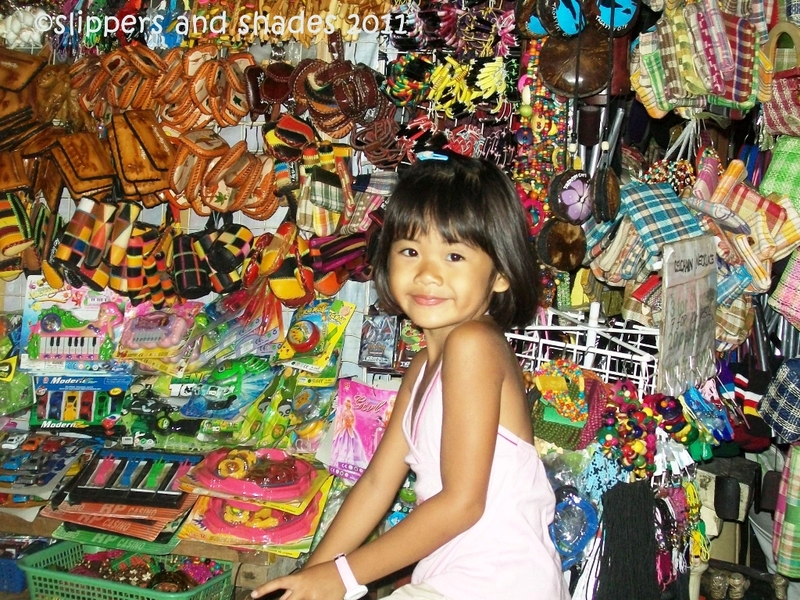 There are lots of souvenir stores that sell t-shirts (100 to P250), key-chains (P35), table display (P75), bags and coin purse (prices depend on sizes and designs). Of course for every visit, it’s a must to buy cute collections. There are also fruit stands where we bought pine apple and banana in affordable prices. It was almost 7 pm when we finally bid good-bye to the park. Noel was very grateful visiting Tagaygay as he shared his valuable experiences on our way home. He appreciated the scenic view as well as the warmth of our family bonding. I will never get tired being the organizer in our provincial getaway because my heart is always filled with joy when we are all together in a beautiful place like this. Indeed, It is a rewarding threat seeing their happy faces having fun. For the remaining days of my sister and her family here in the Philippines, we will bring them next to Boracay, Albay and Sorsogon for a more meaningful adventure.